Coming Soon – Open House Treasure Hunt! Join us on Saturday, May 14th for our Annual Open House Treasure Hunt! 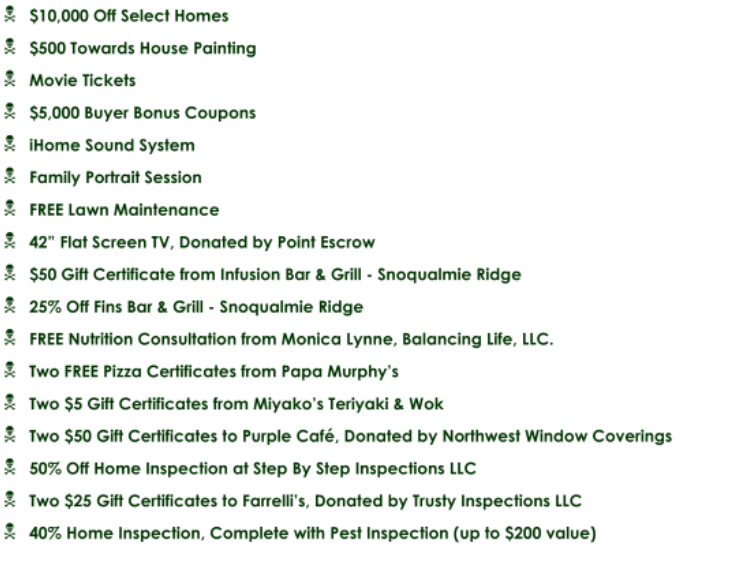 Visit 5 open houses and you will be entered to win over $200,000 in Cash & Prizes! If you have questions about the Open House Treasure Hunt, please let us know by filling out the form below!